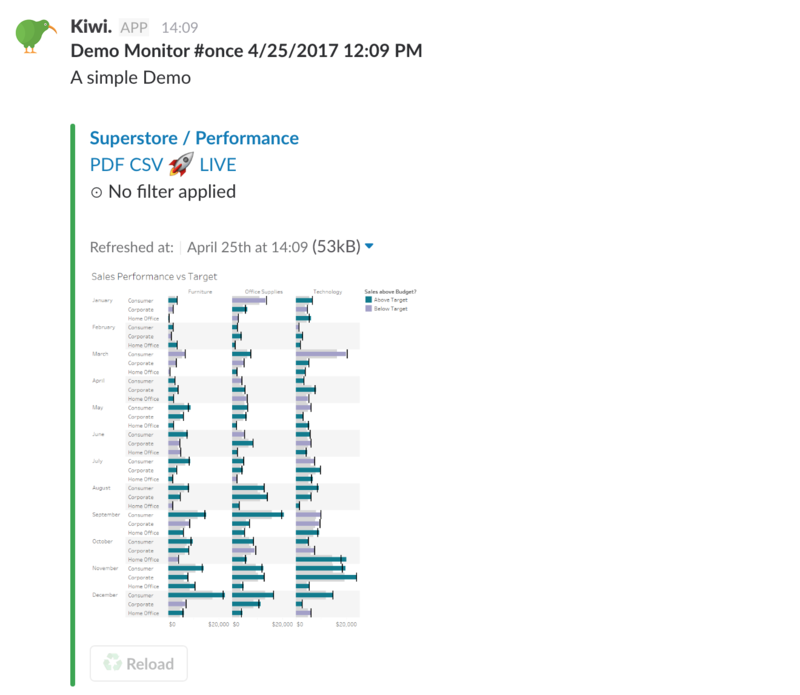 Once you have your Slack team connected to Kiwi, you can start sending scheduled Reports to any existing Slack channel. When creating a new Monitor or editing an existing one, you will notice a dropdown menu to select the Slack channel the report should be delivered to. If you want to send contents to a new channel simply create private or public channel in Slack and reload the Monitor form in Kiwi. All Views in the Report will be sent to that channel including a static image and direct links to PDF, CSV and the live version of the Tableau View, depending on your selections. The PDF and CSV files are being generated before sending the message and are ready to be downloaded. That means downloads start without reloading the data, i.e. they are faster and data is always as of the sending time. 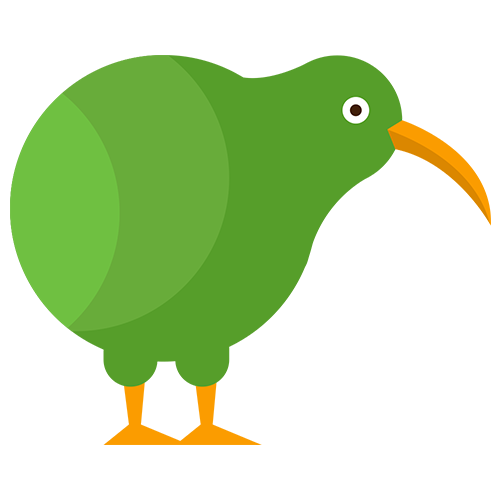 Kiwi will also create a new thread to each view that has been posted as well as a set of default emoji-reactions in order to keep your channel clean and keep the conversation around a Tableau view in a dedicated thread. Reactions encourage people to give instant feedback with a single click.